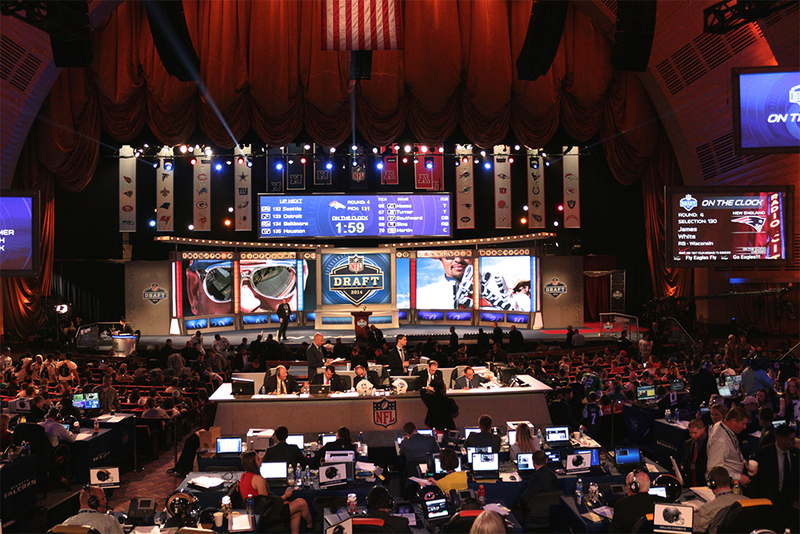 Held at New York City’s prestigious Radio City Music Hall, this year’s 2014 NFL Draft was the highest rated ESPN Draft telecast in more than two decades. 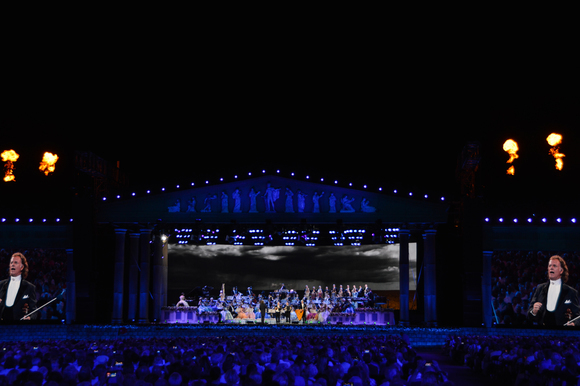 To ensure proper lighting of the players, audience and for the live television broadcast on both ESPN and NFL Network, Christie Lites and Principal Lighting Designer, Michael Franks, deployed Martin fixtures to provide light to the entire venue. 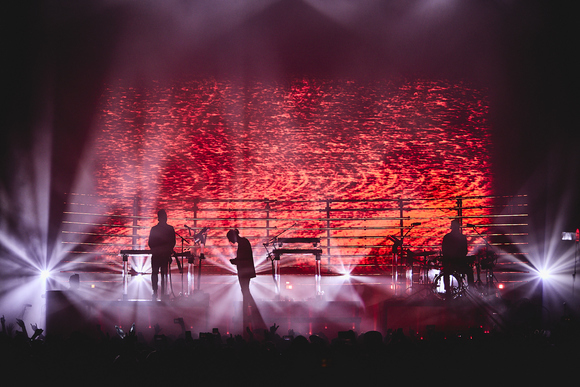 In total, more than four miles of cable were used to power 14 MAC Auras, 20 MAC Viper AirFXs, 19 MAC Viper Performances and 24 MAC Viper Profiles throughout Radio City Music Hall from Thursday, May 8th – Saturday, May 10th. What began as a relatively quiet experience in 1936, the NFL’s annual Draft has become one of the largest productions and most anticipated yearly events. As the NFL has continued to grow, so has the emphasis on production quality. “This was our first year with a complete Martin rig. Doing this project for 18 years, the Draft has consistently grown into a bigger event. We are constantly looking at how we can make it better each year and this year Martin played a big part in that. With two different networks now covering the event, the challenges grew even more as additional areas needed lighting coverage. It was a lot to manage but having the consistency of one team, we were able to create a uniformed look that worked for everyone." Chris McMeen, Christie Lites, was the account representative for the package.